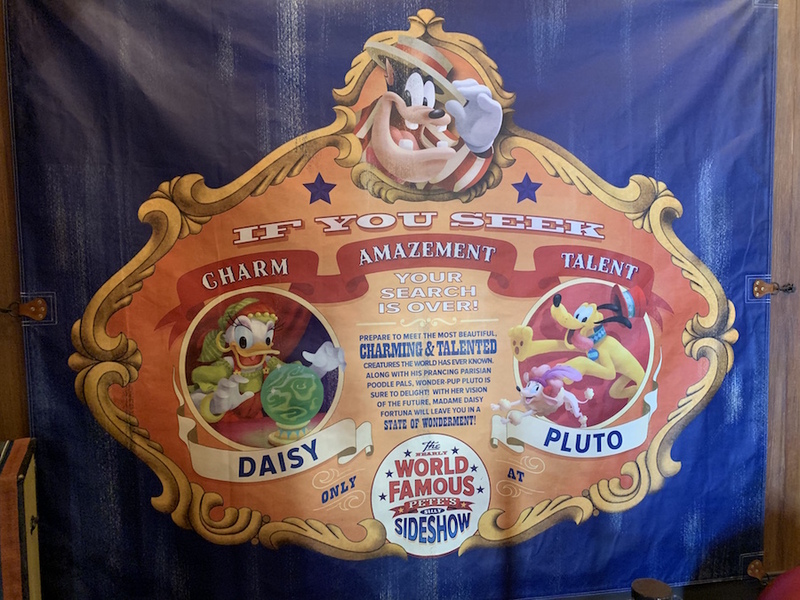 Minnie Mouse has recently moved out of Pete’s Silly Sideshow in the Magic Kingdom to make room for Pluto. 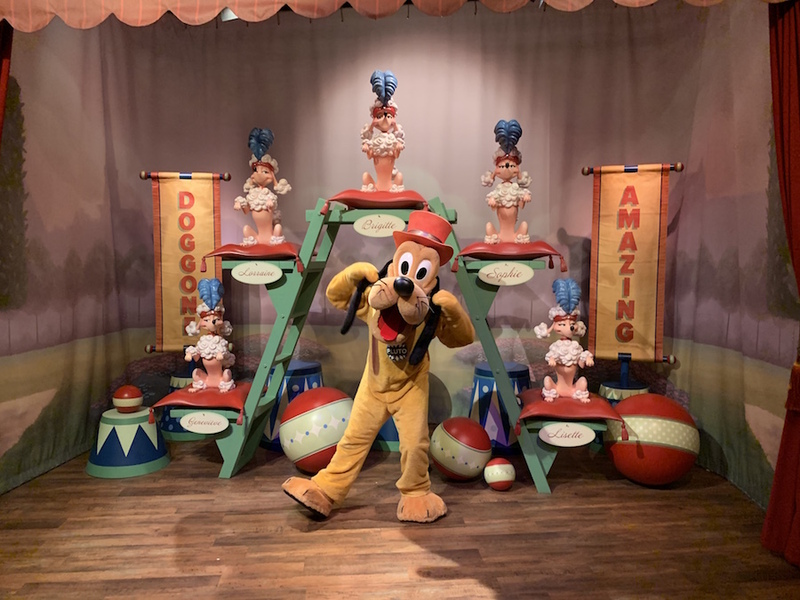 If you’ve never visited Pete’s Silly Sideshow in Storybook Circus each of the iconic Disney characters are dressed in their circus sideshow attire. 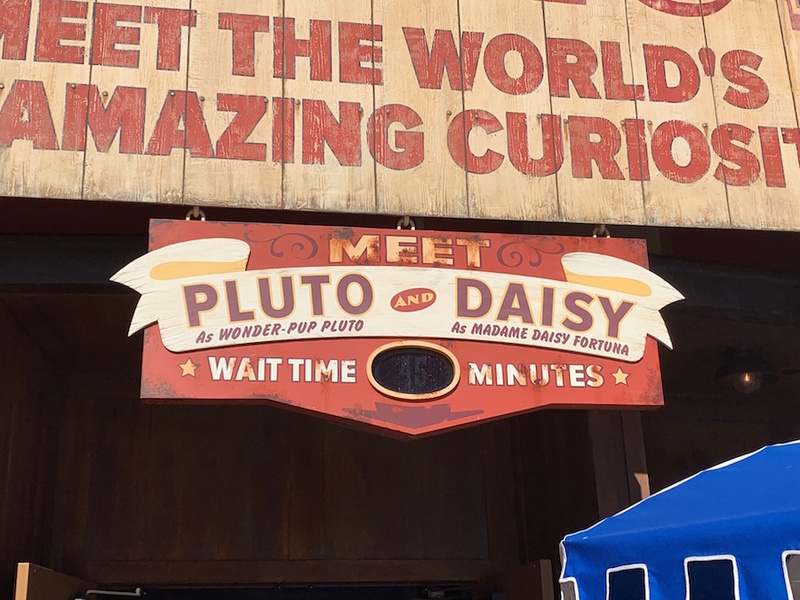 Pluto now performs as Wonder-Pup Pluto alongside fortune teller Daisy Fortuna, the Astounding Donaldo, and the Great Goofini. 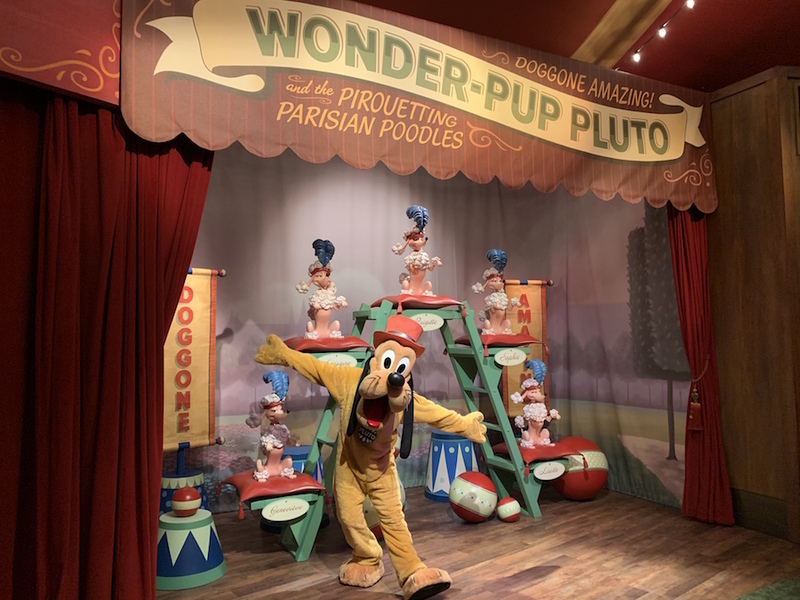 Wonder-Pup Pluto’s backdrop features pink poodles, which is the same as when Minnie Mouse was in this location as Minnie Magnifique. 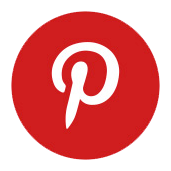 Some signage changes were made, but that is about it.